For a glossy, non-frizz finish. 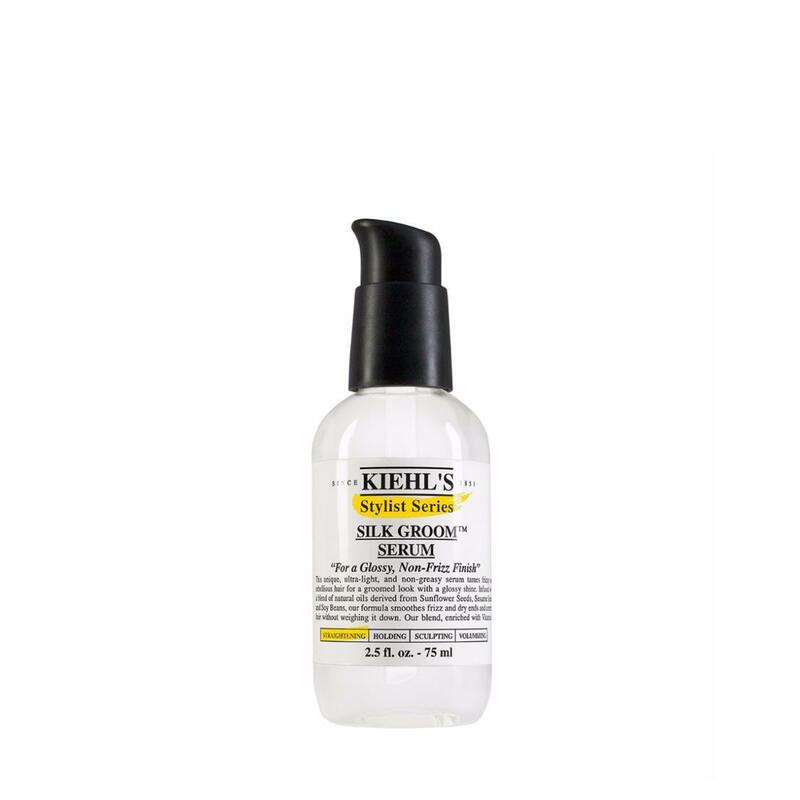 This unique, ultra-light, and non-greasy serum tames frizzy and rebellious hair for a groomed look with a glossy shine. Infused with a blend of natural oils derived from Sunflower Seeds, Sesame Seeds, and Soy Beans, our formula smooths frizz, conditions dry ends, and controls hair without weighing it down. Our blend, enriched with Vitamin E, protects hair from humidity and boosts shine, leaving hair clean, soft, and silky. For styles ranging from smooth and straight to curly and wavy. How To Use: Apply to clean, dry hair.